Nancy Showcases At Bluebird’s 30th Celebration! 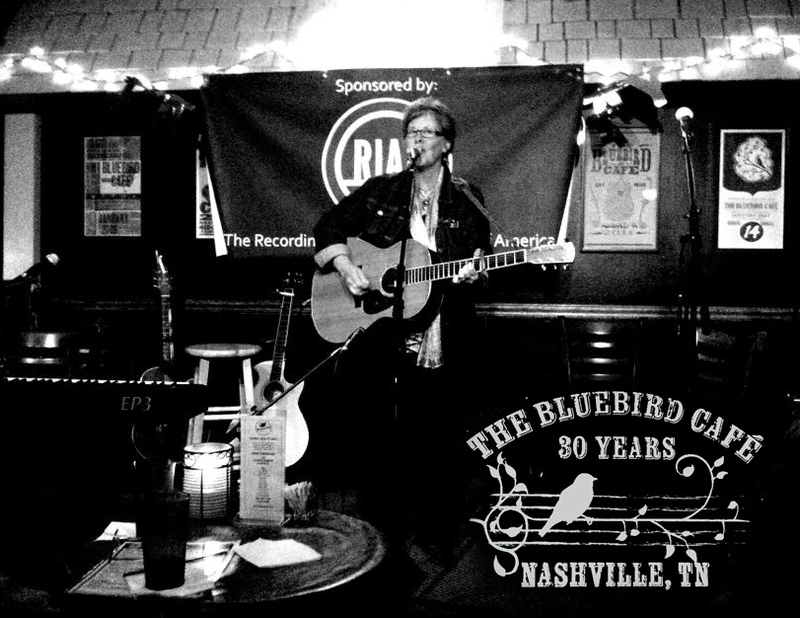 The Bluebird Café turned 30 last week, and an extended celebration ensued with special daily performances from some of music’s biggest artists and songwriters. Beginning Monday, June 4, 2012, numerous homecoming shows, special concerts, guest appearances and events took place at the Cafe, including performances by Kathy Mattea, Crystal Gayle, Vince Gill and numerous hit writers. Nancy Beaudette was featured in the Sunday Writer’s Night show which highlighted ‘Bluebird Favorites’ including Liz Hengber and Mark Irwin with special guest Tony Arata (writer of Garth Brooks hit “The Dance”). The Bluebird Café was originally opened in June of 1982 by Amy Kurland as a restaurant in a small strip center in the Nashville suburb of Green Hills. On a fateful night in 1987, a new artist named Garth Brooks performed at The Bluebird and an executive from Capitol Records happened to be in the audience. The executive took Garth into the kitchen and asked him to come by the label the next day to offer him a deal. Years later, Garth says, “The Bluebird is the beginning and the mecca, the end.” In 2004 Dreamworks Records’ executive Scott Borchetta saw 15-year-old Taylor Swift perform for the first time and invited her to be a part of his new venture – a label to be called Big Machine Label Group. Over 65,000 people now visit The Bluebird Café annually. It has changed little in appearance, character and purpose over the last 30 years. The small stage still offers the opportunity for budding singers and songwriters to be heard. The Bluebird Café is guaranteed to always provide musical “moments,” and in most cases, only 100 lucky listeners will be in the room to let the rest of the world know what it missed.